The matte chestnut brown shade, M6 (bottom, second from the right) looks like it would work for me but in the swatch it looks a bit ashy. Weird huh? Smashbox is giving Urban Decay a run for its money with the Full Exposure eye shadow palette. This palette is fully loaded with 14 neutral colors from subtle matte colors, to shimmer shades that are great for day or night. 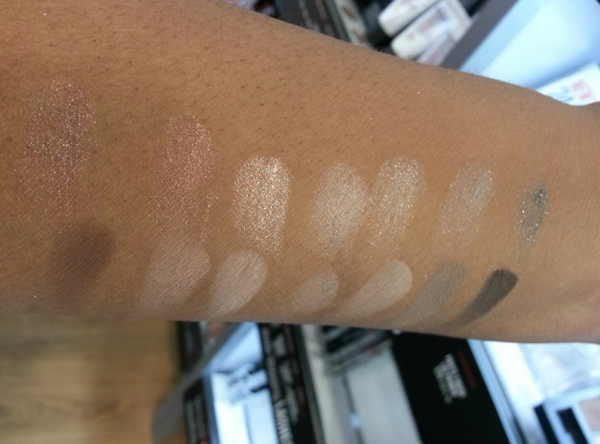 Smashbox separates the colors make things easier, the shimmers are on the top row and matte colors along the bottom. 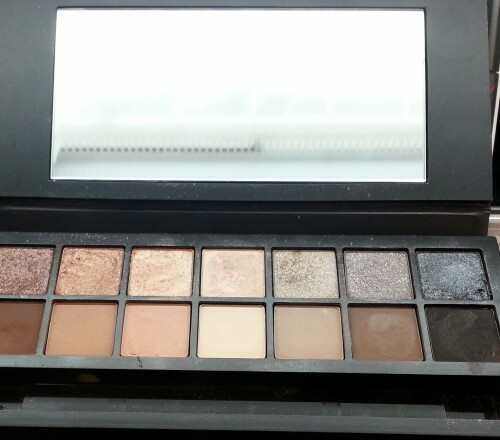 Women say they love it for the versatility, as this palette is a favorite of all skin tones from light to dark. Below you can see the swatches from the entire set of colors. I am loving all the colors except M6 (bottom swatch, second from the right). It’s kind of an ashy, muddy brown on my skin tone. But overall, I really like this palette. Are you a Smashbox fan? Holla at ya girl in the comments below.